This story is about a dog – a very, very sick dog. My dog, Simone. She had a lung torsion that came on quite suddenly and, in an instant, we were dealing with a life and death situation if we could not get her help quickly. Fortunately this occurred on a Sunday, when our only option was to head to the emergency veterinary hospital. They had specialists there who could properly diagnose and determine the immediate course of action, which was to operate and remove half of her lung. She has recovered quickly and fully and will live quite happily without this part of her body. We were wondering how Simone is recovering from her major surgery? We’re sorry to hear she had to go through that and send wishes for a quick recovery! Please send a quick email letting us know how she’s feeling and give her a great big hug from us! A personal e-mail from the company to check up on Simone! This was a company that cared. Imagine if your personal health insurance company ran like this. Imagine if your own company did. So on to our final chapter of this tale (or should I say “tail”?) There are so many parallels we can take from my personal story to the stories of the clients you serve. • Life brings unexpected turns – Plans can change in an instant. Depending upon your type of business, they may look to you for guidance. Your expertise reassures them and what you do (and how you do it) makes a difference. • Words matter – The words you choose lets your client know that they are important to you. By listening, as well as talking, you create a conversation that connects you to the information you need in order to best serve their needs. Don’t talk at them, talk to them. • Systems matter, too – Every company needs to have clear and concise systems of operation. Forms, options, online stores, whatever way you do business from start to finish it must be easy for the client to navigate, informational, consistently followed by all your staff and void of extra, unnecessary steps. • Show you care – In every interaction, recall the sage words of Dr. Suess, “To the world you may be one person, but to one person you may be the world.” By taking the time to let them know they are important to you, you build trust. Allow the client whatever time they need to be with you. Don’t make them feel rushed, no matter how many items are waiting for you to do. Be there and show you care. • Provide them with “wow” service – That email was a “wow” to me. 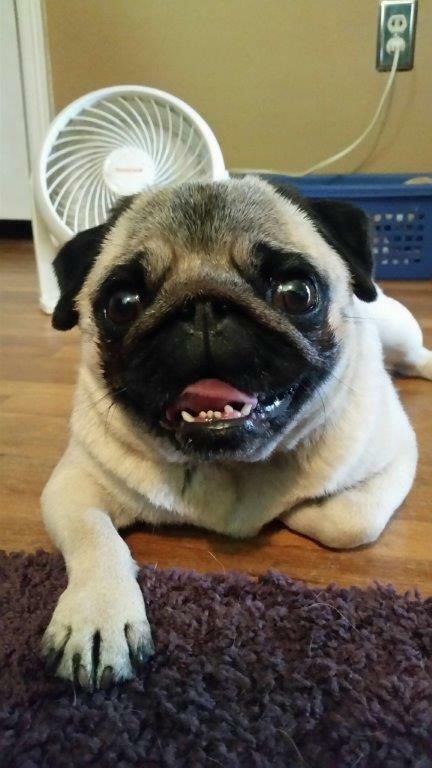 Someone went out of their way to send me a note to ask how my precious pug was doing. This was not some giant insurance company that just wanted my monthly payment, this was a person who had a job and part of that job was client outreach. Think of the ways, small and large, that you can personalize your interactions and how you can reach out to let the client know that your care continues beyond that sale or service. • Earn customer loyalty – When every moment from the initial phone call to final delivery creates a positive feeling in the client, you create a loyal customer. You create someone who will become your best representative, a “raving fan.” They will share with everyone they know their story of how you treated them and what you did for them. For Healthy Paws, all it took was a short e-mail. What will it take from you?